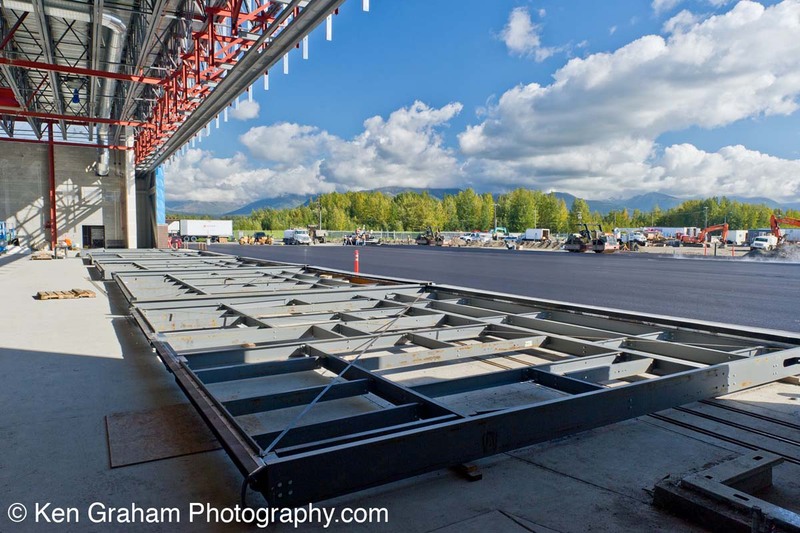 Planned for joint use by the Air Force and Air National Guard, this Corps of Engineers hangar project is the largest in the new F-22 program at Elmendorf AFB. Davis Constructors & Engineers Inc. worked on the facility, which consists of a 35,000 sq. ft. six bay maintenance hangar with an adjacent three story 49,000 sq. 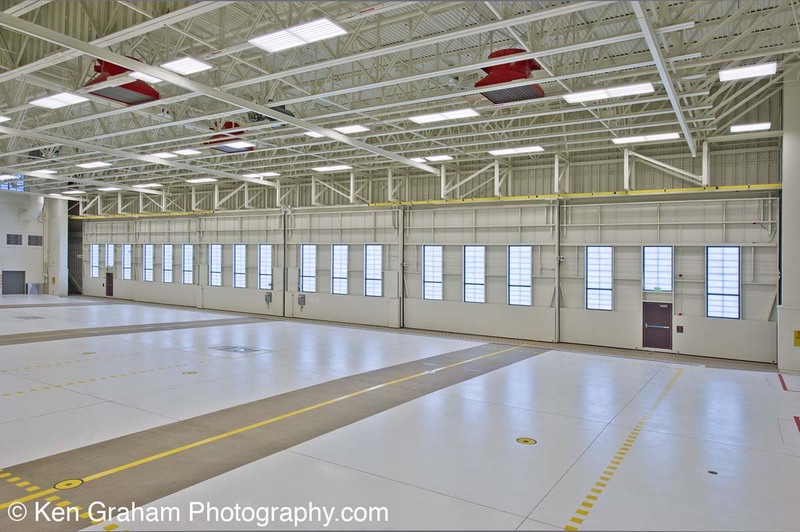 ft . squadron operations facility featuring two 175’ x 24’, 6-leaf, bi-parting door systems from Norco.